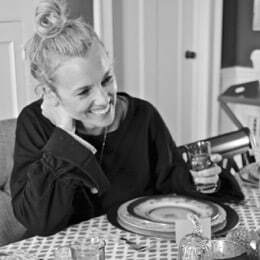 I’m hopping on today to share two fun holiday things with you! 1. 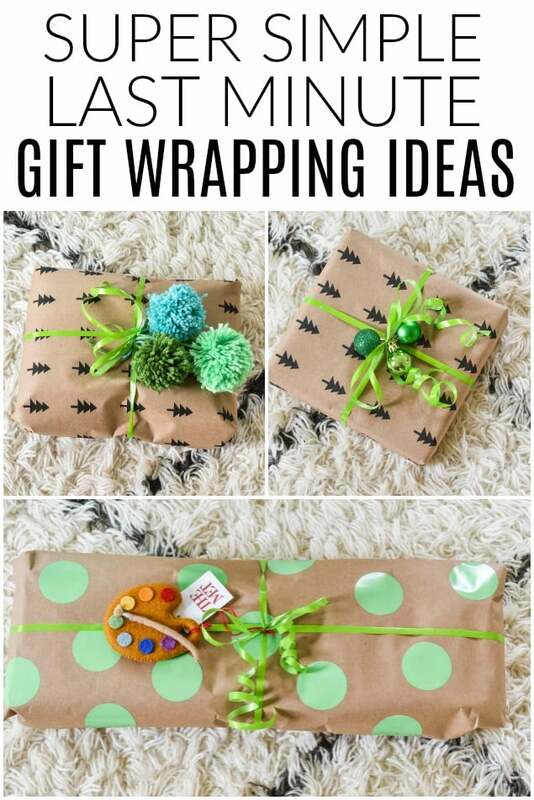 Some last minute wrapping ideas. 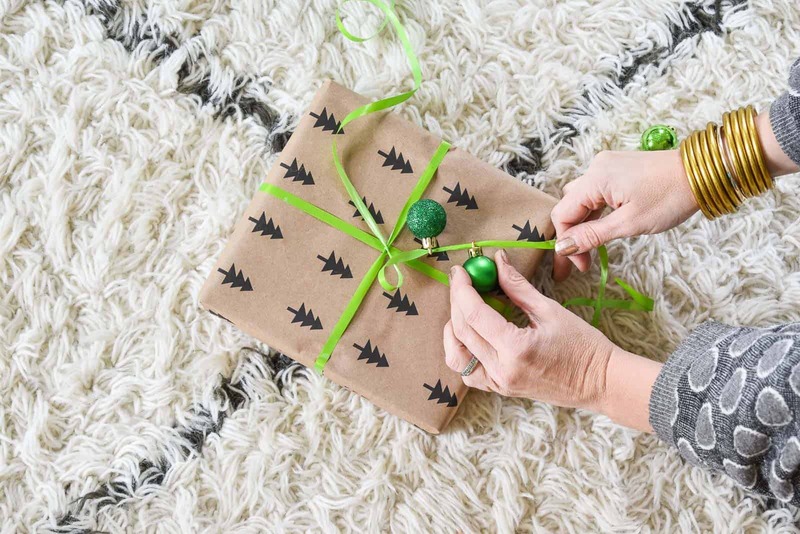 I don’t have time to go too crazy with wrapping, but I’m sharing 5 cute ways to wrap presents without spending hours. And 2. The Met Store. When I lived in NYC, the Metropolitan Museum of Art and its gift shop was one of my favorite places to head for gifts, but they also have a large and varied selection online and the best part… purchases from the Met Store support the Museum’s collection, study, conservation and more! So basically you’re doing a good deed by shopping. 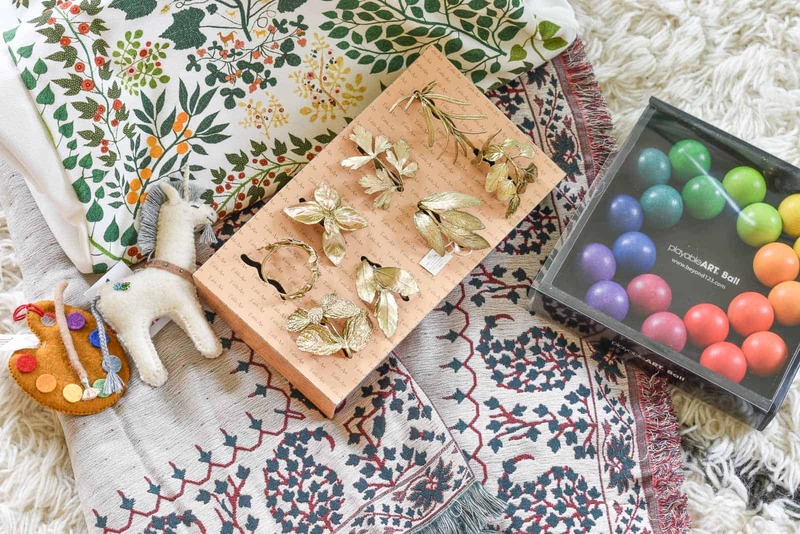 These are the items I selected from the store: a cute rainbow kids toy (that may or may not end up in my office…), a gorgeous textured shawl, a printed floral canvas bag, a pair of felt ornaments, and those adorable golden herb napkin rings. In other words, something for everyone. 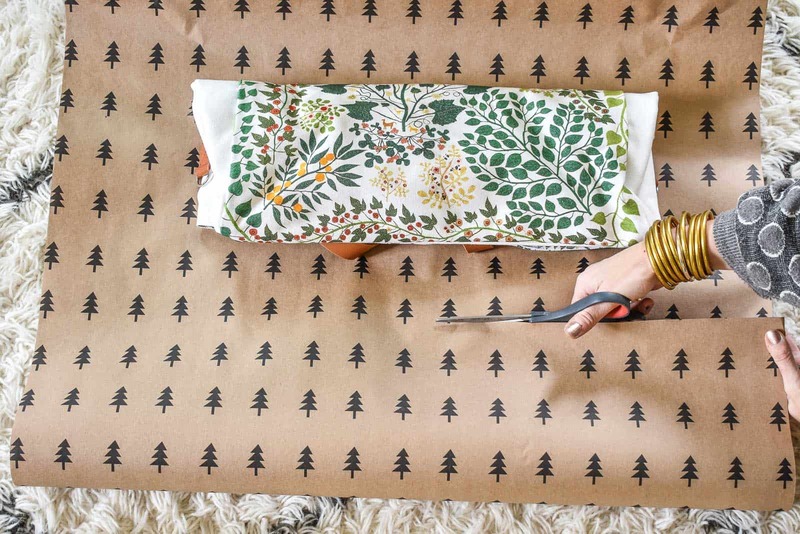 I’m using brown paper wrapping paper with a simple Christmas tree pattern. 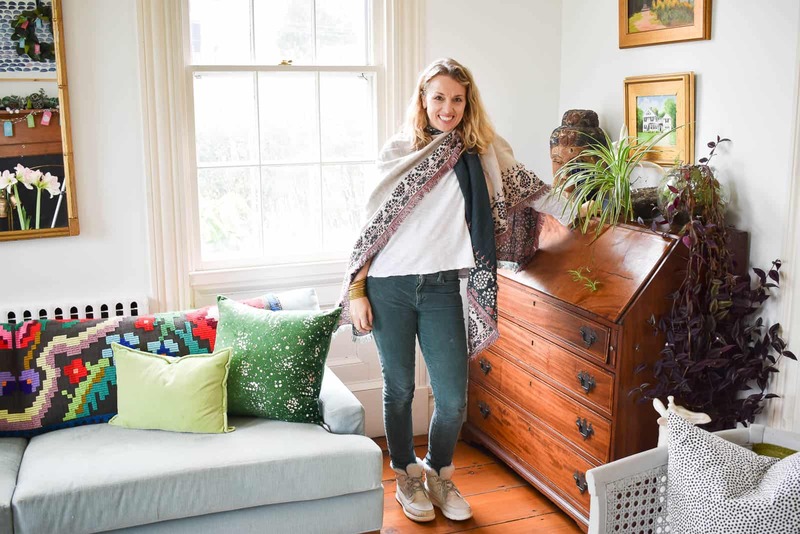 I love it because it can be wrapped with the pattern out or… facing in for a more neutral look. The first step when wrapping any present is to cut the paper to size. I try to have my paper wrap around the present and overlap by about an inch, then I secure with tape. For the ends, I trim my paper to leave about 2 inches on either end. I fold in each corner at a 45 degree angle so it looks like an envelope, then I fold up and secure with tape. Now’s when the fun begins… For the first present, I used simple green ribbon and then strung some non-breakable mini ornaments on before tying the bow. Really simple. Really sweet. Would be an easy detail to add to every present if you buy a container of these mini ornaments at the craft store. Okay.. the napkin rings. If you have a bunch of extra boxes, then by all means, that would work… I wanted to do something unique so I took them off and strung them through a nice wide velvet ribbon. I know that technically they’re not “wrapped” because you can see what they are, but I plan to place them in a gift bag with tissue which seems much nicer to me than a package with a bunch of napkin rings rattling around inside and ripping through the paper. I made some simple pom poms to include on the shawl wrapping. I love the simple pop of texture they add! 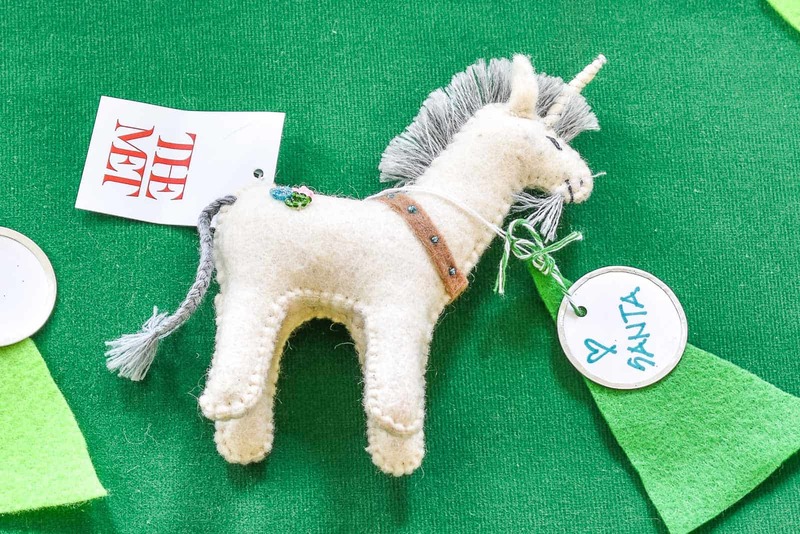 Last but not least, I had one leftover felt ornament, so I tied a simple fabric tree and a round tag onto it to use as either a stocking stuffer or perhaps a place setting if I decide to pick up some more ornaments for the rest of the family! 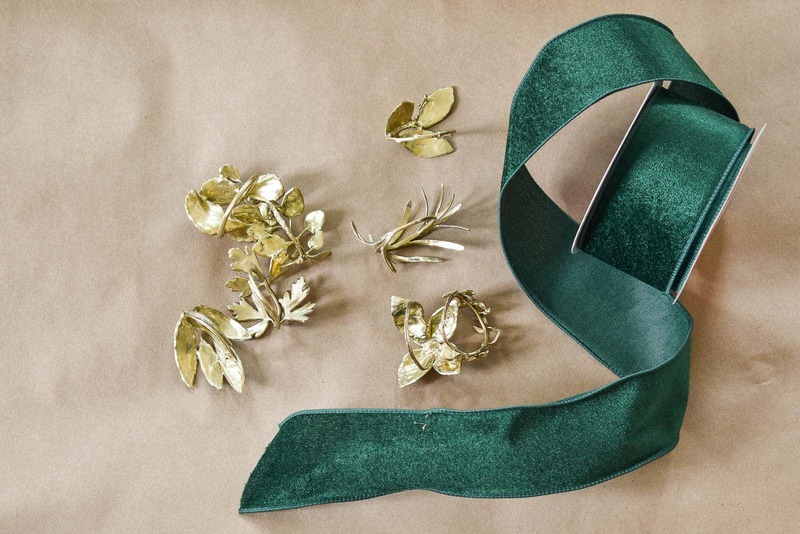 Make sure you head over to The Met Store to see all the wonderful items they have available for the holiday gift guide: scarves and shawls, jewelry, Christmas ornaments, decor, and more! 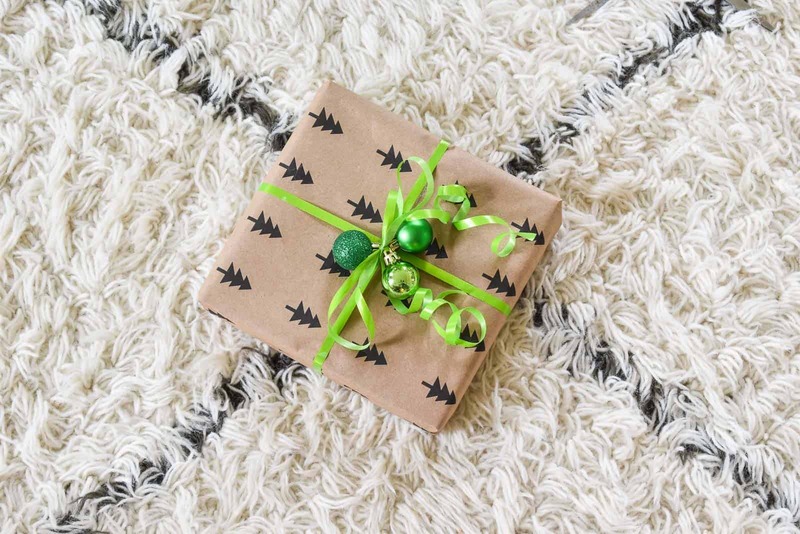 Leave me a comment and let me know your favorite wrapping styles when it comes to holiday presents… are you over the top with big ribbons and frilly tags or no nonsense tissue paper and masking tape? These are so cute! 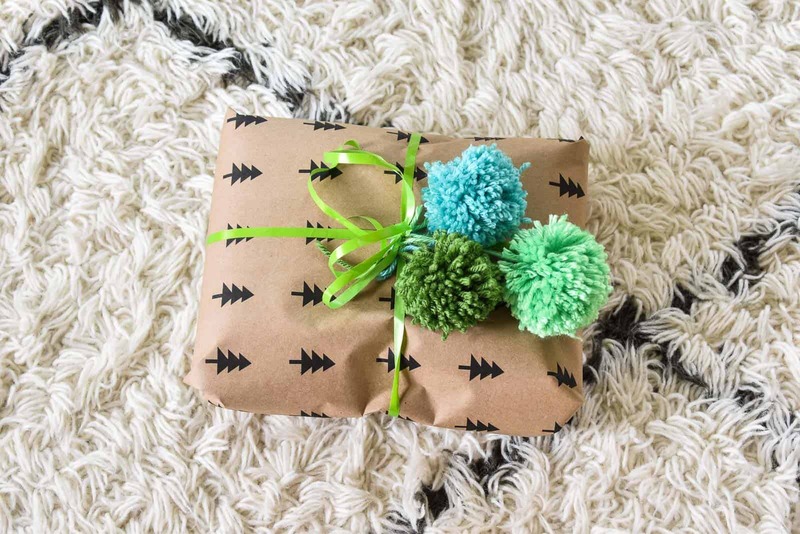 I love how simple and versatile this wrapping paper is and how you accessorized it to really add some pop! I wrapped presents last night and decided I would just embrace the tacky this year…lol! I’m an over the TOP BIG bows gal trapped in the life and budget of a no nonsense dollar store gift bag kind of gal. Love the reminder of the MEt store for gift ideas. 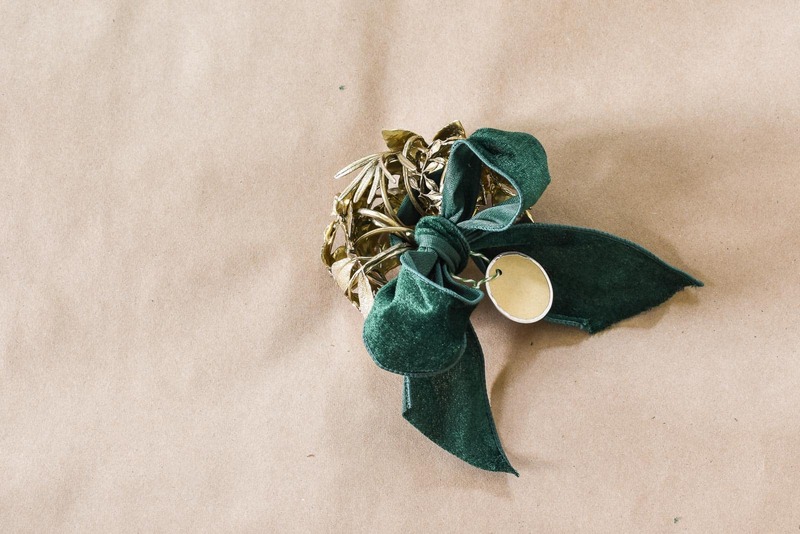 Wonderful idea with the napkin rings! 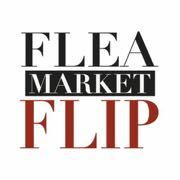 That wouLd be cute also fOr a gift set of vintage silver mismatched ones. And…i love those naPkin rings! Gotta run and see if they’re available onLine! Thanks, Sue! I love the way it turned out! Might use that idea again with colorful tape!